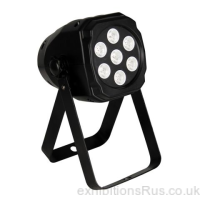 LED lights are becoming ever more popular in the exhibition and trade show arena. 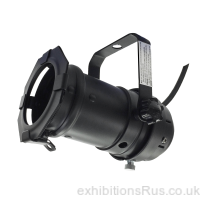 Lighting output levels are now very good indeed with the continual bulb evolution. 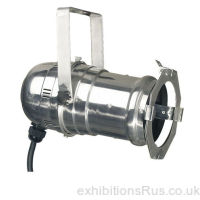 They draw a lot less power than traditional lighting units so the power costs at exhibition halls and other venues is greatly reduced. 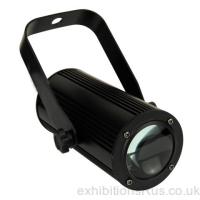 We are now able to offer a range of units that can output a bright white light, this enables us to light an entire exhibition stand with only LED lighting fixtures. 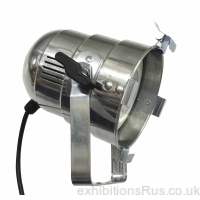 In the past we would have advocated a mix of either halides or halogens to go with them to ensure a bright enough level of illumination at some of the UK’S less than well lit exhibition halls. 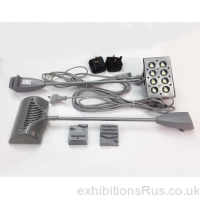 The main reason for purchasing RGB LED lighting fixtures is to use the colour change ability and enable professional designed lighting shows. 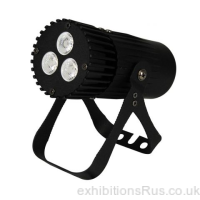 LED lighting allows you to colour wash walls, ceilings, even whole building facades, by up-lighting or spot lighting. 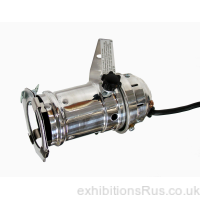 You will also notice LED bulb and diode life is greatly increased as opposed to that of traditional bulbs and that the running costs and efficiencies are far superior too, lower power consumption means a greener planet. 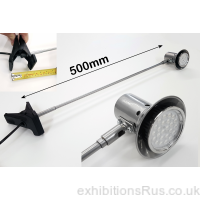 The simple light emitting diode has come a long way over the last few years, available in single colour or RGB which allows for colour mixing, you will be able to achieve thousands of colours. A DMX control desk will enable you to affect state of the art colour change and other sequence effects on mass, artistic effects, mood lighting and pyrotechnics go hand in hand with LED lighting systems. 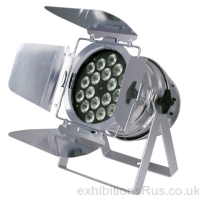 LED lighting fixtures are used to create mood lighting on exhibition stands and at trade show events. 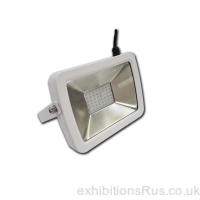 LED RGB lighting also has its uses in retail outlets, showrooms, public buildings and corporate premises. 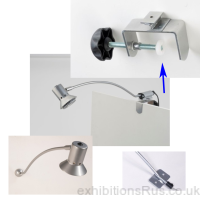 Led lighting will bring aN up to date, high tech and modern identity to even the most dated of rooms or buildings bringing them a new lease of life. 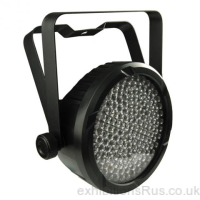 We believe LED lights are the future of many Internal and external architectural lighting applications and you should consider it for your next project or event, choose from theatrical style par cans, light ropes, wall washers, desks and cables, we are here to help. 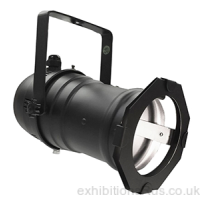 Call on 01256 768178 and ask for some advice on how best to light your event with the budget you have.